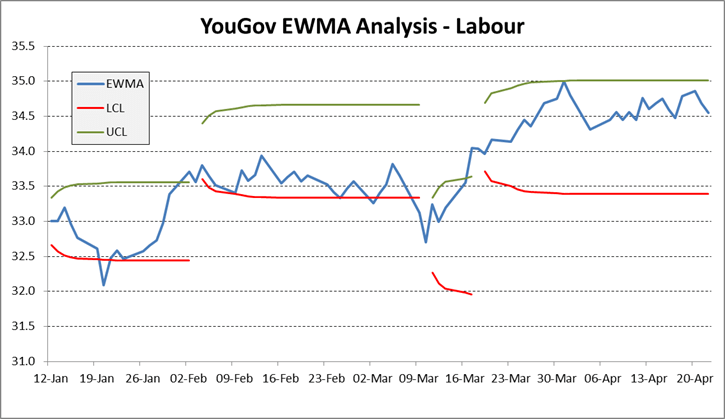 We have updated our EWMA analysis. 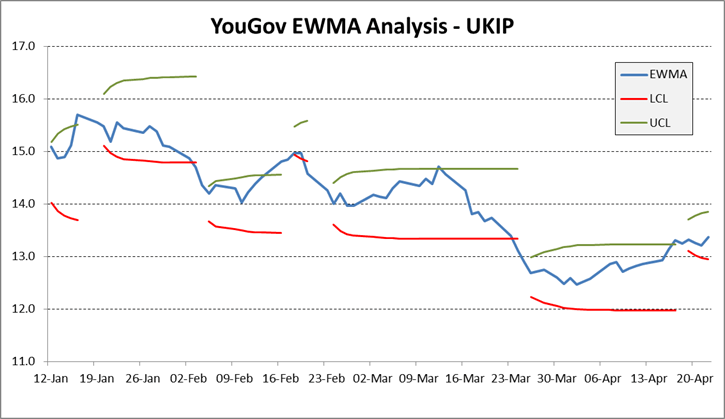 The details are below. 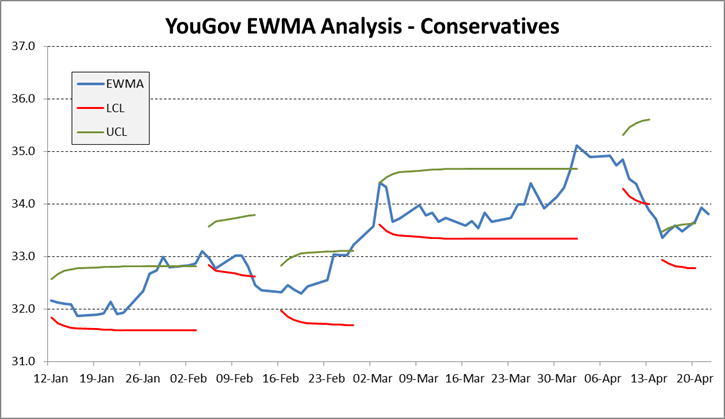 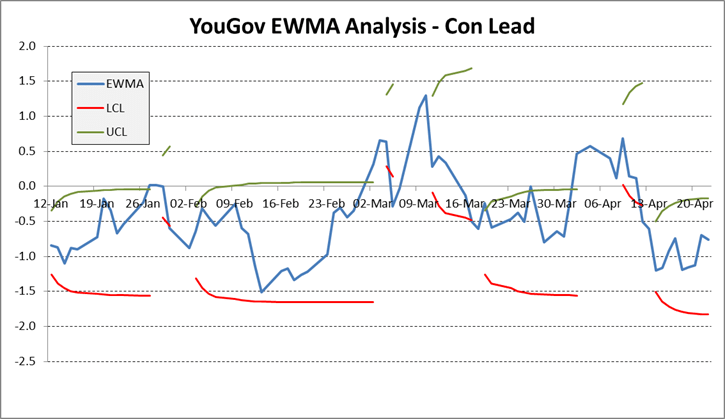 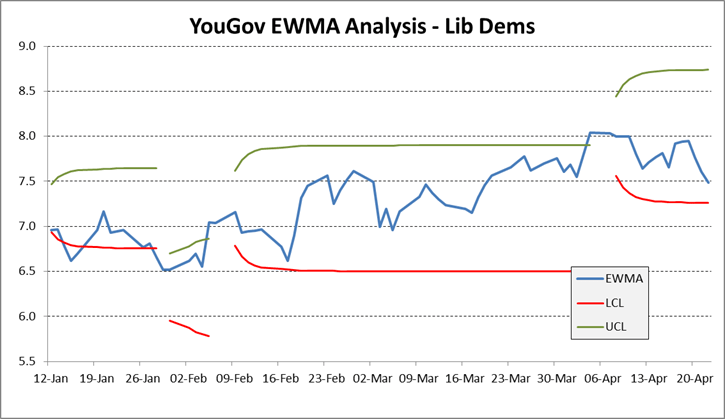 Despite this movement in the Conservative’s polling band, there is little evidence of an impact on the differential between the Conservative and Labour vote shares. 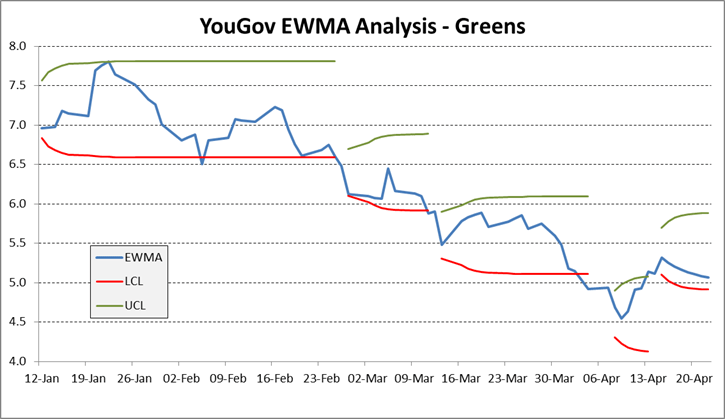 The slight recovery in Green vote share from the exposure in the debates appears now to be dissipating.